Tip number one. Get a shop manual! Nice originals may be found at swap meets and on eBay. 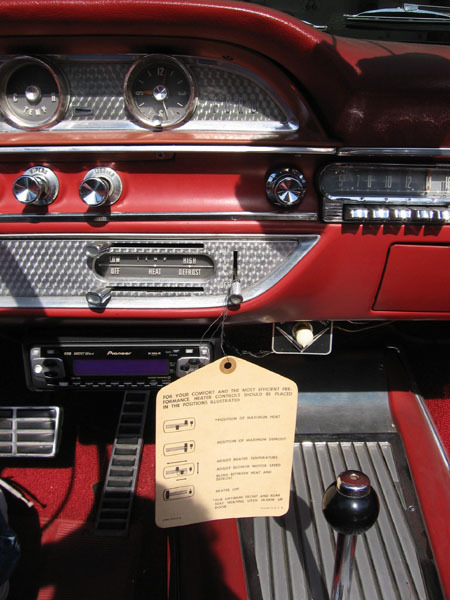 An electronic copy on CD is available through The Ford Galaxie Club of America. www.Galaxieclub.com. If you like to do your own work, a shop manual is a must. 1. 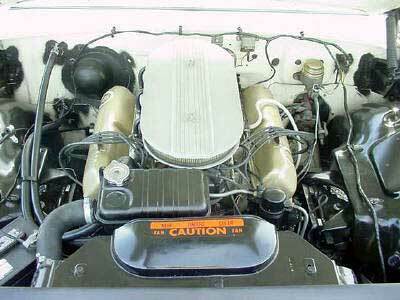 Speaking from carburetor fire experience, your Galaxie should never leave the garage without a fire extinguisher in the trunk. 2. When parking, always set the parking brake. 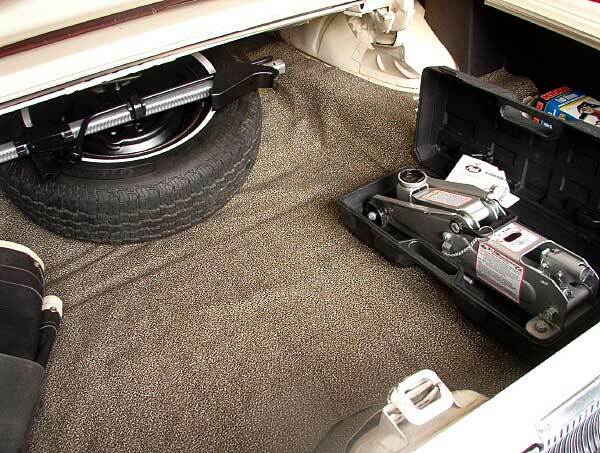 Do not rely solely on placing the transmission in PARK to keep the car from rolling. Due to wear and faulty linkage adjustment the parking pawl in the transmission can disengage allowing the car to roll freely. It goes without saying that the parking brake must be properly adjusted. 3. 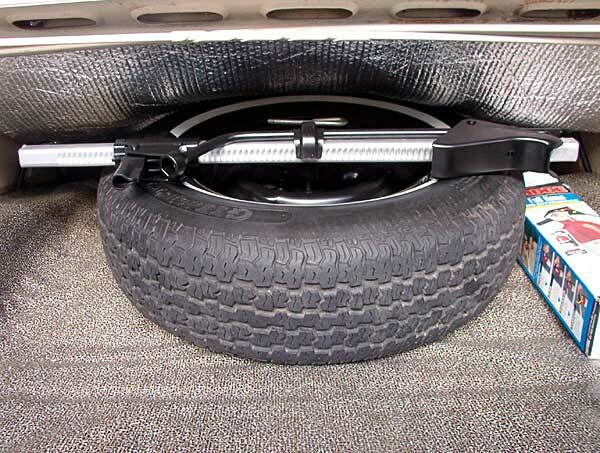 NEVER NEVER NEVER get under your Galaxie or any other car without the proper jack stands properly placed. That thing weighs in at about 2 tons. It if comes down on you, it will hurt. 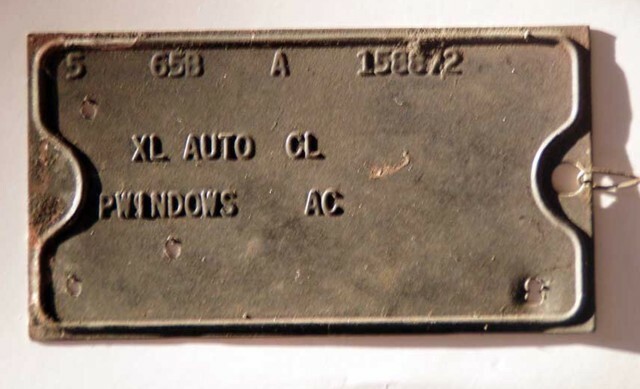 If you're lucky you may find this little gem tucked away in a door panel, under the carpet, in the seat springs or in some other random out of the way location in your Galaxie. 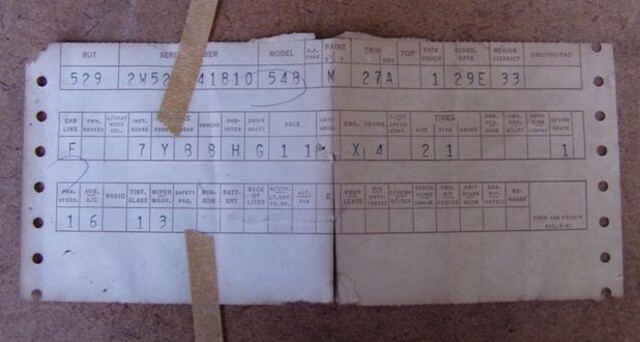 It is the build sheet for your '62 Galaxie and shows all of the features that were original to the car. It is a rare document, and if found, regardless of condition, should be preserved. Recently (11/12/07) Dave Coleman and a friend discovered a tag on Dave's friend's 1962 Galaxie and then Dave found one on one of his own cars. This is the tag from Dave's friend's car. Inquiries were sent out as to what this tag was and this response came from John Rotella, Legendary Ford Magazines "Code Cracker and Director of www. Lovefords.org." "This is a buck tag. It was originally riveted to the firewall or fender wheel cover inside. It helps the assembly line workers know about any special features or procedures associated with the car. Each plant had their own distinctive way of doing the buck tags, there really was not a strict policy. Sometimes stuff was spelled out, sometimes it was abbreviated. Some of the codes refer to a quality control checkpoint, rotation number, etc. 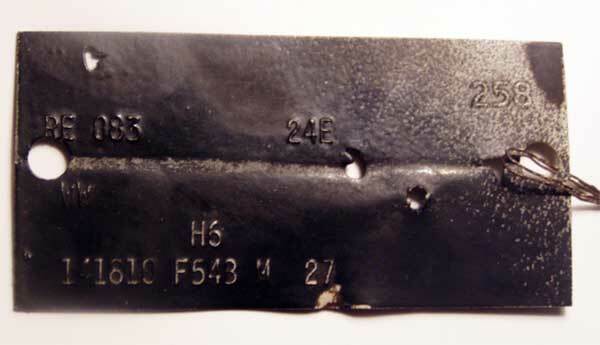 Very often buck tags were removed when the car was finished. 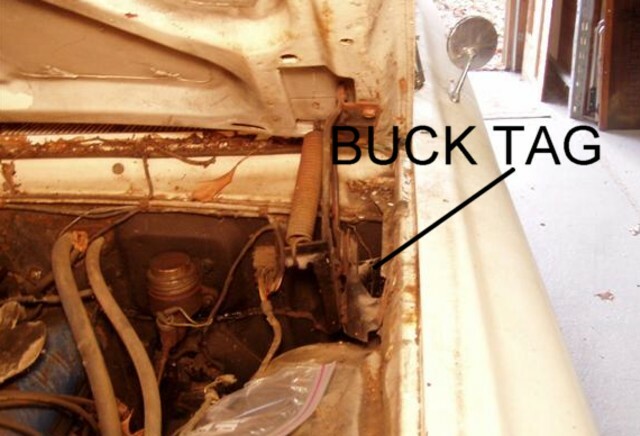 Given John's response, it is clear that the Buck Tag is yet another way to document the originality of a 1962 Galaxie or other car that has one. It is also clear that finding one of these tags on a 1962 Galaxie is a rare occurrence. 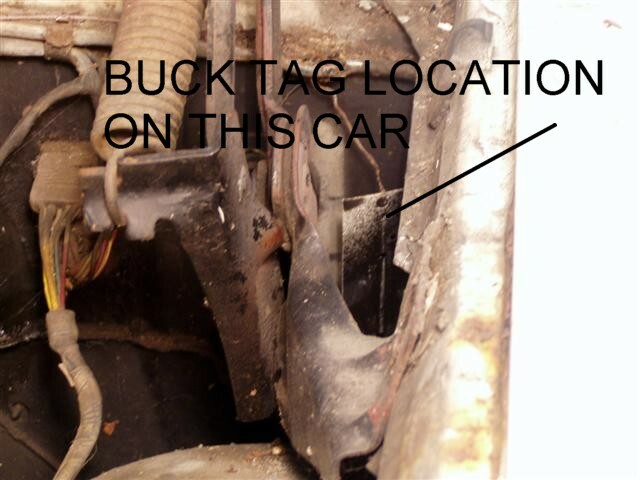 The buck tag on Dave's car was located next to the firewall just outboard of the left hood hinge. This is the tag from Dave's car. So, here are three ways to document the authenticity of a 1962 Ford Galaxie. The Patent plate is fixed to the car and is nearly always there unless purposefully removed. The build sheet and buck tag are rare and if you are lucky enough to find them, they should be preserved as part of the cars valuable documentation. 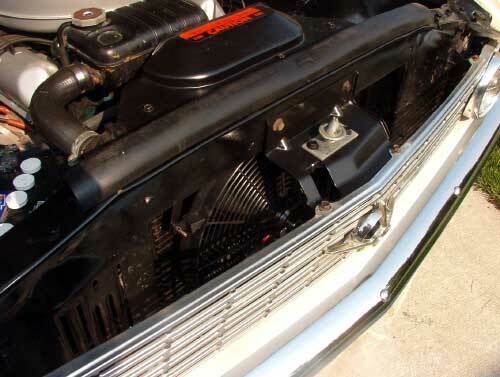 VIN on 62 Galaxie frame. 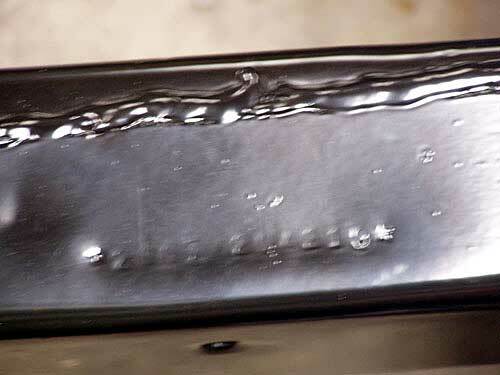 To verify the VIN of your 62 Galaxie, you may find it stamped into the frame as shown in this tip from Dave Coleman of Indianapolis. 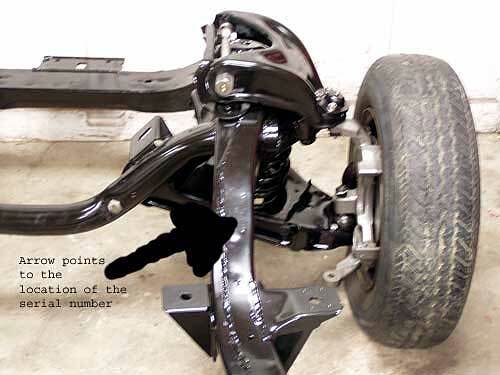 "This first picture shows an arrow that points to the location of the serial number stamped into the frame just behind the front control arms. The picture was taken from the rear of the car pointing the camera towards the front. It is hard to read when looking at it and it is impossible to read in the picture. You have to clean the area well to see it. I looked for this number after I had my frame stripped and couldn’t find it. I wasn’t able to see it until I had the frame powder coated. If you clean the area with a wire brush real well you should be able to see it." 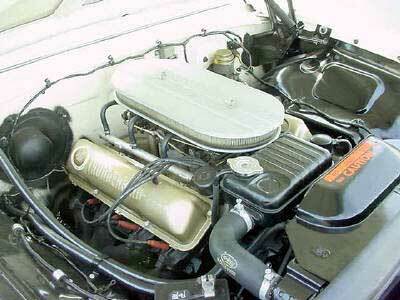 These photos of Registry entry 32 show a correctly detailed 406 engine with the three 2 V carburetor option. 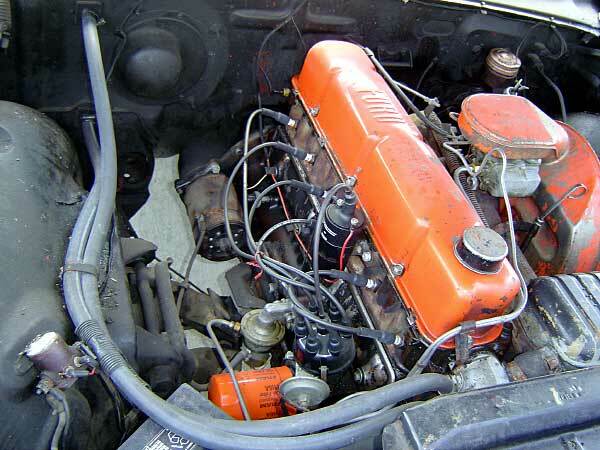 Note the correct placement of the 406 decals on the valve covers. This is the correct fender badge/emblem for the 1962 G Code cars. This photo of Registry entry 1 shows a correctly detailed 390 engine. 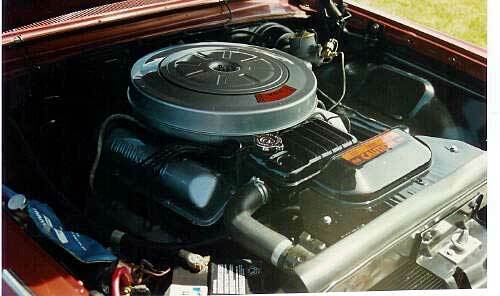 The correct valve cover and air cleaner color is argent. There are several verisons of the 1962 390 Thunderbird emblem on the market. This is the correct color combination for the 1962 emblem. 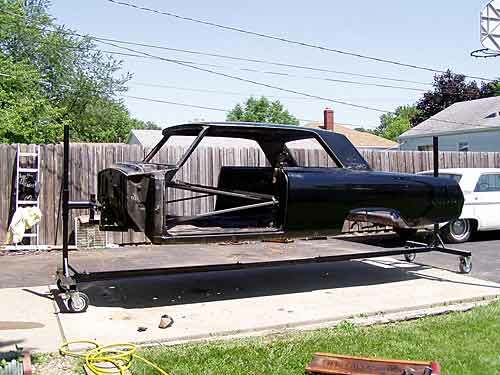 I found a couple of sites with plans on how to build your own automotive rotisserie. Body Rotisserie Plan #1 - Body Rotisserie Plan #2 Basically I read the directions on both sites and took the best ideas from both to make mine. There are a few mistakes as far as dimensions, so if something doesn't seem right, use common sense to try to figure out what they really meant to say. I can't remember where the mistakes are, so I can't be of much help there. For the wheels, I used two 8 inch swivel casters with brakes and two 8 inch fixed casters from Harbor Freight. I couldn't find the fixed casters on the Harbor Freight site, so they might be discontinued. Basically they were exactly the same as the swivels but they don't swivel. I also purchased a cut off saw from Harbor Freight. There is a lot of hole drilling, so you will need a drill press also. Submitted by Dave Coleman. After having the rear bumper re-chromed it didn't make sense to reinstall it without doing some other restoration work. 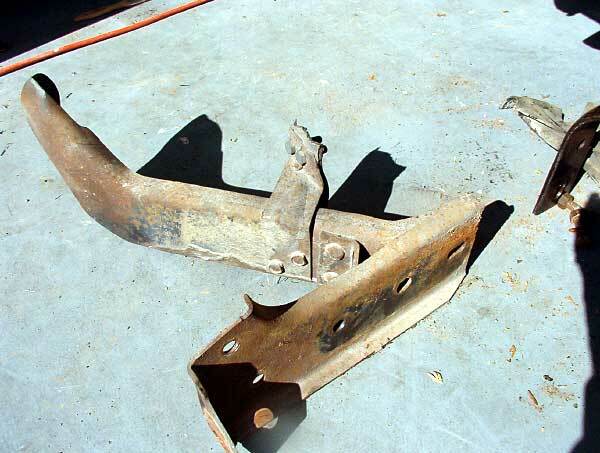 The brackets all had a significant amount of dirt and surface rust that had accumulated from 40 plus years of use. These were sand blasted and painted with Rust-Oleum satin black paint number 7777. I could have had them powder coated but there is not a good facility within 30 miles and the Rust Oleum gives an excellent and lasting finish. I put 4 coats on. Ready to put back on the car. The new bolts, nuts and washers for the brackets were supplied by the Parts Department at Joe Machen's Ford here in Columbia as their contribution to preserving the Galaxie. Notice the inside surface of the bumper. Because this is an area that gets much abuse, and little care, the plating shop, A & A Plating in Kansas City, recommended that I give it a good 2 to 3 coats of Rust-Oleum Cold Galvanizing Compound. It looks natural and gives this surface great protection from corrosion. 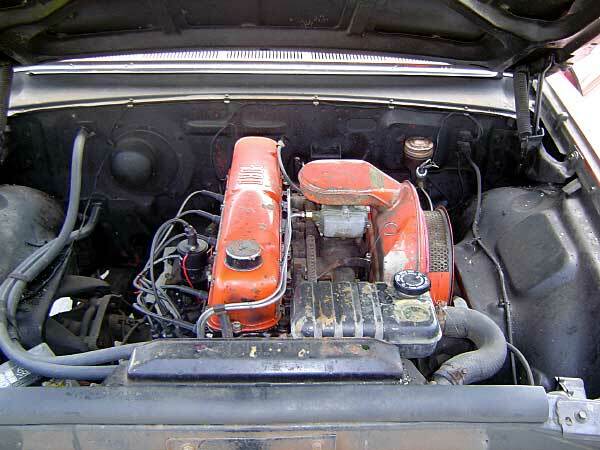 Although not restored, this is an excellent example of an unmolested Milage Maker 6 engine, "Galaxie's standard engine and your selection for top gas economy and all-around thrift as proved by billions of owner-driven miles!" 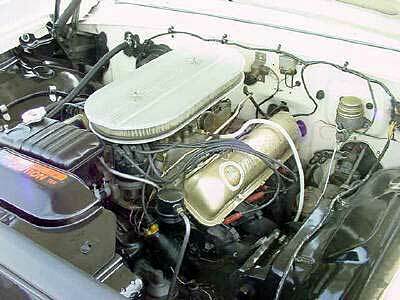 It was rated at 138 HP at 4200 RPM. The Registry thanks Mr. Bob Walters of Mason City, Iowa for these photos. Registry Note: Since the 1950s I have been a huge Buddy Holly fan and my wife and I have attended several of the Buddy Holly tributes held at the Surf Ballroom in Clear Lake, Iowa over the years. Clear Lake is just a few miles west of Mason City. Buddy Holly's last performance was at the "Surf." Waylon Jennings was the bass player in his band. In the wee hours of the morning on February 3, 1959, following the "Winter Dance Party" show, Buddy, Ritchie Valens and J. P. Richardson," The Big Bopper" boarded a small plane bound for Fargo, North Dakota. The show the following night was at the Armory in Moorhead Minnesota. A few minutes after takeoff, and a few miles northwest of the Mason City airport, the plane crashed killing all three of the famous rock and roll stars. Through the song American Pie, this day became known as "The Day The Music Died." Real cool man! 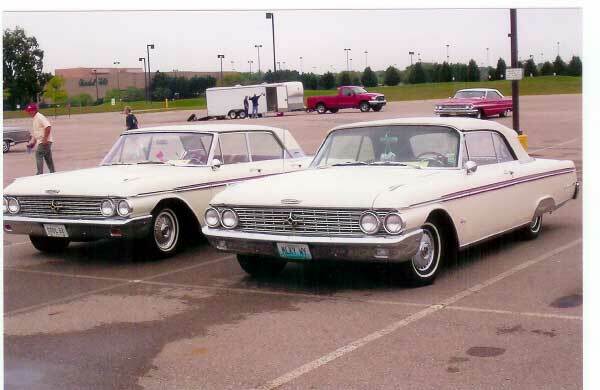 I love driving my Galaxie in parades but the downside of that is parades are nearly always held on rather hot days and the big 390 tends to overheat when driving so slow. Here's my cure that I tried out this week (5/28/05) in the Salute To Veteran's Parade here in Columbia. No permanent modifications at all were done for this installation. I did not use the furnished installation kit that required making passages through the radiator fins for nylon bolts. Existing bolts and holes were used. It worked great. The fan is a 16 inch, 10 blade, Flex-a-lite (www.flex-a-lite.com) TrimLine model 116 electric fan that I got at NAPA for about $120. It's MADE IN USA, runs off of straight 12 volts, draws 11.3 amps and is fused for 20 amps. It can be set up as a pusher or puller simply by turning the blade assembly over and for this job it's in the pusher mode. I bought a separate toggle switch that is up under the dash out of site. Although an optional temperature sensor and control is available, this one is all manual. If I need extra cooling, I just flip the toggle switch and have an extra 2190 cfm air flow through the radiator. For power, the positive lead is connected to the main positive terminal on the starter solenoid and the negative is grounded using one of the bolts that secure the fan shroud. The wiring runs along the existing harness then branches off by the heater fan motor, goes out into the right fender below the hood hinge and into the car through the radio antenna wire grommet behind the right kick panel. The fan has four lugs (which I epoxyed on) and is designed to be mounted by four 1/8 in. nylon bolts that are to be run through the radiator core. The instructions have you carefully pass a phillip's head screwdriver through the fins to make holes, then insert the bolts. This seemed like an evil thing to do to a classic old radiator so I made two brackets out of 1 inch x 1/8 inch aluminum stock and painted them black (see photo). 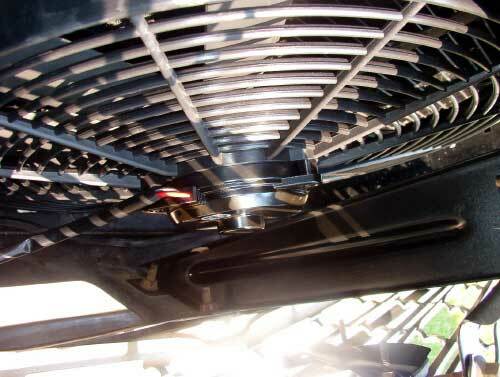 The brackets are attached to two existing bolts that attach the fan shroud to the cross member. I did not use the two bottom lugs. The bottom of the fan rests on, ready for this, a 4 inch piece of heater hose. It's out of site under the fan. While tightening the brackets I pressed down on the fan to squeeze the hose so it would be secure. I had to remove the hood latch support to get the fan in. 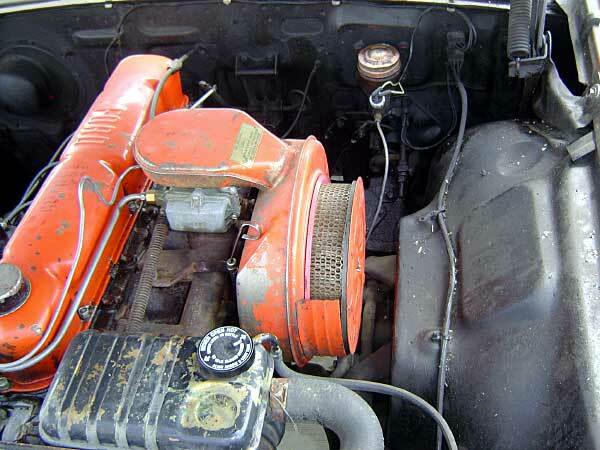 The fan is a couple inches off center because the motor will not fit in line with the hood latch support. 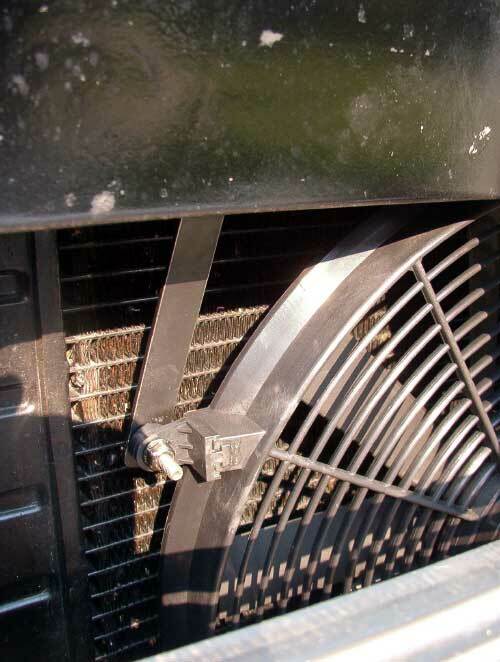 The fan is not noisy, but it can be heard when the engine is just idling. 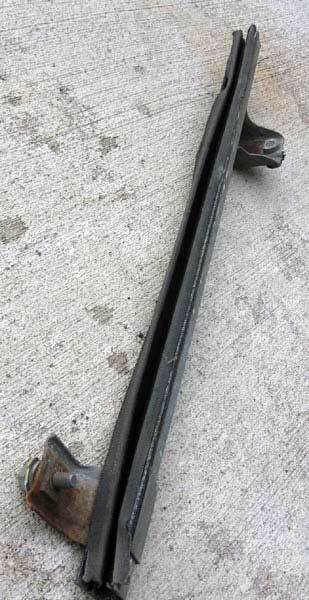 Every time I opened the trunk of my Galaxie I was greeted by a jack assembly that just didn't look very good. Also, after replacing my front bumper with an NOS one, and having my rear bumper re-chromed, it just didn't seem like the right thing to do to use that old bumper jack on those awesome looking bumpers. Besides, I never considered those old bumper jacks very safe anyway. 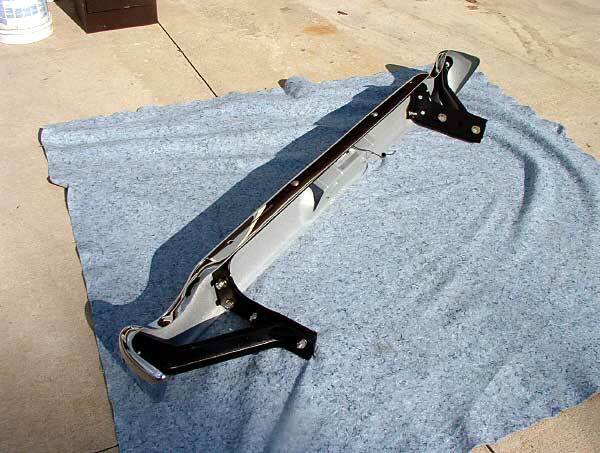 So, before going to the 2005 Galaxie National Show in Dearborn I restored the old bumper jack and bought a hydraulic jack to use in case I had a flat tire. To restore the old jack I stripped the paint off the black painted parts of the jack and cleaned everything. I masked the plated rod and sprayed the black parts with my old standard, Rust-Oleum satin black 7777. The first coat dried with many "fish eyes." So, I stripped it again and this time used Rust-Oleum primer then the satin black and it came out great. For the jack rod, I cleaned it and sprayed it with Rust-Oleum Metalic Finish Aluminum 7715. The first coat looked like fake plating so I sprayed a second coat but before it dried I rubbed it smooth with a rag. This time it looked like the real deal. Now I have a original jack that looks great but will never be used, and a safe hydraulic jack to use for flats. The side trim, one of the outstanding features of the '62 Galaxies that gives the cars that looooong, sleek appearance, must be installed on the correct side of the car. They look nearly the same, but the angle of the trim pieces where they meet the door gap are slightly different on each side of the car. The photos show the result of getting them mixed up. It appears that the retaining clips were missing so the trim was screwed on. The correct retaining clips are available from a number of Galaxie parts suppliers. 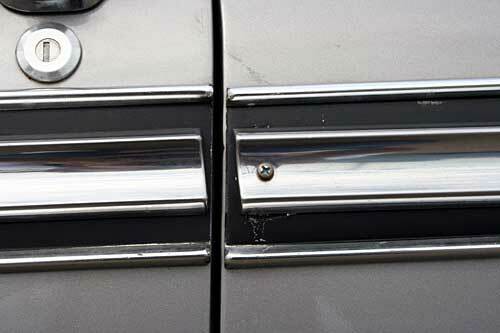 Thanks go to Drew Belian for pointing out this incorrect trim installation at the 2005 Galaxie Nationals in Dearborn and allowing it to be used on the Registry. 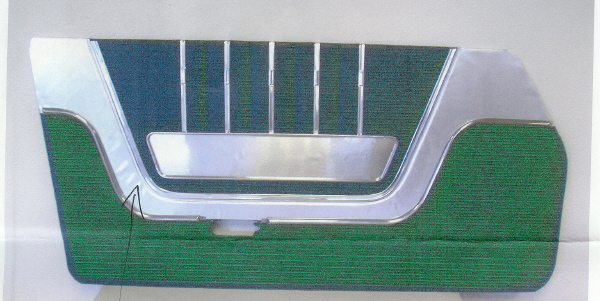 SMS Auto Fabrics of Canby, Oregon is now reproducing the 1962 Galaxie 500/XL door panels. They can be reached at www.smsautofabrics.com or phone at 503-263-3535, or fax 503-263-3525. I requested a sample of their red vinyl to compare to mine and it was an exact match. 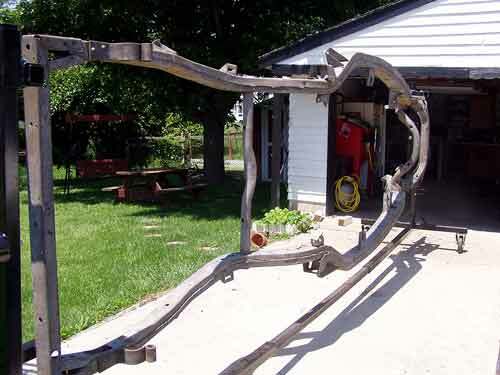 On 1/31/06 they quoted a price of $695 for a set of 4 panels, front and rear. They stated in their material that the wrinkles seen in the photo disappear upon installation. 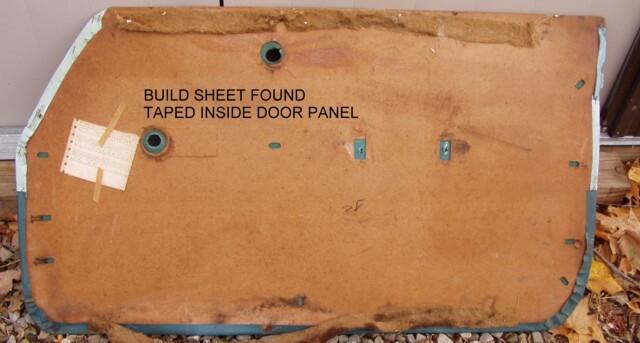 When asked about the window crank and door handle holes, SMS said that they cut the holes in the door panels but don't cut the surface of the vinyl. They leave that for the customer to do because sometimes they get a customer who changes to power windows at the last minute. The rear edge of the windows in the front door are guided and supported by U-shaped channels. 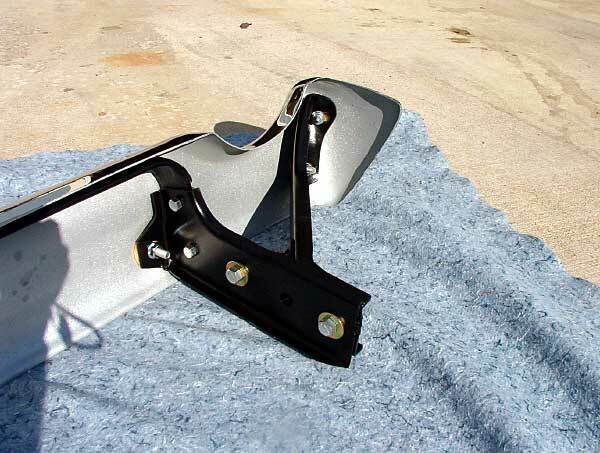 These channels, located down inside the door on hardtops and convertibles, are lined with fuzzy material to prevent rattle noise and are bolted into place using a bracket on each end. Although replacement channels are available, here is a method to restore yours that will save you both time and money. In this photo of my original channel you can see that the padding material is worn out and falling off, and there is a bit of surface rust on the mounting brackets. I wire brushed the rusty areas to remove any loose material then coated these areas with Permatex's Rust Treatment which comes in spray cans and is available at most auto parts stores. After the treatment dried for a couple days I then sprayed those areas with Rustoleum's Cold Galvanizing Compound. I had already ordered one replacement channel which I had planned on installing but at my wife's suggestion (she does a lot of sewing) I decided to try something different. Two issues drove me to consider not using the $15.00 replacement. One is that it did not come with the riveted on mounting brackets or new rivets. It did have the holes drilled in the correct location. 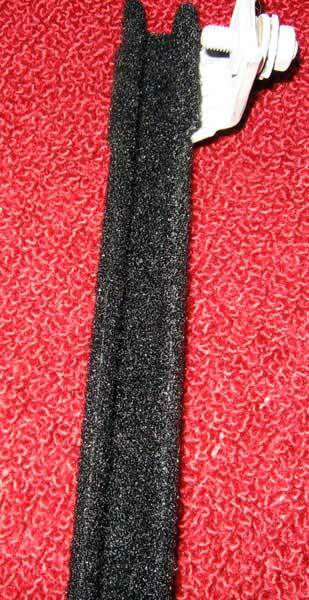 Second, the padding material was nothing more than a strip of felt glued into the channel. Her knowledge of sewing material and experience told her that the felt would not hold up and might lose its dye if it got wet. Also it would hold moisture like a sponge. She said "why don't you use the fizzy half of a strip of Velcro." Hmmm, worth looking into. I went Velcro shopping and found some black in 2 inch width at Walmart for $5.90 for a 5 foot strip. It already had very sticky adhesive backing. 2 inches was the widest I could find and I needed 2 1/2 inch width so I had to improvise by using two strips to do the channel. I cut the strips so that the joint runs along one of the corners down in the channel. The finished channel looks great. Time will tell how it holds up and I'm guessing it will last a long time. Although the mounting brackets actually look galvanized again, they appear white in the photos due to the flash. Although it's a bit difficult to see in this photo, not only the tops, but also the parking light lenses on these two cars are different. The hardtop has amber lenses and the convertible has clear lenses. Galaxie parking light lenses are interchangeable from '61 through '64. The '63 Galaxies had amber lenses and on '64s the lenses could have been either depending on where the car was assembled. Both colors of lenses are available from parts suppliers as replacements and you will see both on the cars in the '62 Galaxie Registry. It is a matter of personal choice, but to be really purist nit picky, the clear lenses are correct for the '61 and '62 Galaxies. Here is great documentation of when and why the change from clear to amber front turn signals was made. "Amber-colored front turn signals will appear on U.S. motor vehicles starting with the 1963 model year. The change from the white lights in present usage is being made on the recommendation of the Automobile Manufacturers Association Board of Directors. The move results from an industry-wide project started in 1958 to re-evaluate all motor vehicle lighting and signaling components. It is the first of numerous lighting changes expected in the next few years. Still under intensive study is a dual-intensity system which would increase daytime brightness of signals two to four times over that of present signals. Engineers from lamp and vehicle manufacturers taking part in the project found that amber turn signals were more easily seen than white against glaring reflections and provided greater contrast against headlights at night." 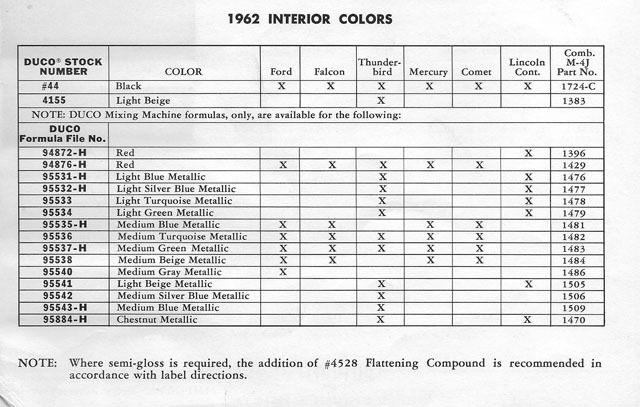 Here are the paint codes for the 1962 Galaxie interior paint. This paint is all semi-gloss. See the NOTE at the bottom of the chart. 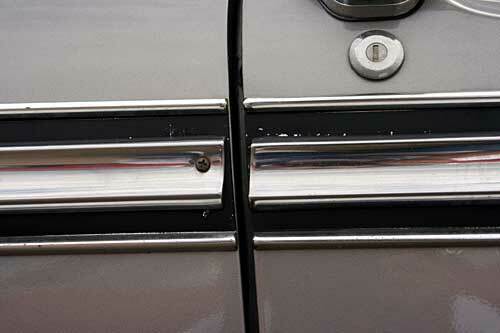 Here is a tip for the upper trim on the doors of the 500/XL models. The metal has a texture to it. It is best to strip, not sand, these parts. The texture could be damaged and sanding will not get the old paint out of the tiny grooves. Also too much paint will fill in the texture. I know, I know. This is not a 1962 Galaxie. 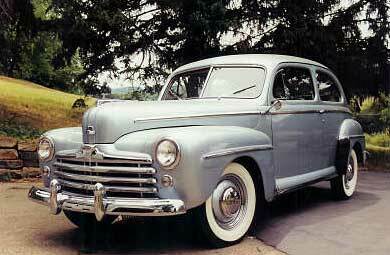 It is my Uncle Jack Moore's 1948 Ford Super Deluxe. He and my Uncle Frank finished a many-year restoration on this car in the mid 1990s. It is special because Uncle Jack, and his brother, my late Uncle Frank, did this restoration when they were in their 70s and 80s. Jack is now 82 and still drives the car in parades and attends an occasional show. Uncle Frank restored all of the upholstery from scratch using authentic, correct reproduction materials doing all of the measuring, cutting, and sewing himself. They worked slow and were very attentive to details. They were next door neighbors and one could say best friends. At times they would just sit in the garage sipping on a beer discussing what to do next or how to accomplish some challenging task. They worked together and enjoyed every hour of the restoration. You think you have a long project ahead of you? So what if you're in your 80s when it is finished? It can be done! It is with much sadness that I write this update. At 12:20 am, this date, Uncle Jack was called to serve a far higher purpose. He passed away quietly at the age of 84. Those who attended his final visitation, and there were many, enjoyed a number of photos of Jack and this car. All who knew him, were well aware of this car, his, and his brother Franks labor of love.